Before adding more names, please read the Criteria for inclusion section on the article's Talk page. This is a list of Austrian inventors and discoverers. The following list comprises people from Austria, and also people of predominantly Austrian heritage, in alphabetical order of the surname. Carl Auer von Welsbach, work on rare-earth elements, which led to the development of the flint used in modern lighters, the gas mantle which brought light to the streets of Europe in the late 19th century, and the development of the metal filament light bulb. Georg Joseph Beer, introducing a flap operation for treatment of cataracts (Beer's operation), as well as popularizing the instrument used to perform the surgery (Beer's knife). Carl Cori (nobel prize), co-discovered Cori cycle. Gerty Cori (nobel prize), co-discovered Cori cycle. Paul Eisler, inventor of the printed circuit board. Otto Frenzl: Aeronautical pioneer, developed the area rule in 1943, a design technique for airfoils used to reduce an aircraft's drag at transonic and supersonic speeds. Later it was independently developed again by Richard T. Whitcomb in 1952. David Gestetner, inventor of the Gestetner stencil duplicator. Friedrich Hayek (nobel prize), pioneering work in the theory of money and economic fluctuations. 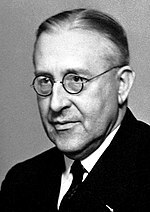 Victor Francis Hess (nobel prize), discovered cosmic ray. Eric Kandel, (nobel prize), research on the physiological basis of memory storage in neurons. Viktor Kaplan, inventor of the Kaplan turbine. Wolfgang von Kempelen, inventor of The Turk, a chess-playing automaton and Wolfgang von Kempelen's Speaking Machine. Karl Kordesch jointly co-inventor of Alkaline battery (together with Canadian Lewis Urry). Hedy Lamarr, co-invented—with composer George Antheil—an early technique for spread spectrum communications and frequency hopping. Karl Landsteiner (nobel prize) discovered the main blood groups, co-discovered with Alexander S. Wiener, the Rhesus factor and co-discovered with Constantin Levaditi and Erwin Popper the polio virus. Ferdinand Mannlicher, along with Scottish Canadian James Paris Lee, Mannlicher was particularly noted for inventing the en-bloc clip charger-loading magazine system. August Musger, inventor of slow motion. Max Perutz (nobel prize), co-discovered with John Kendrew in studies the structures of hemoglobin and globular proteins. Fritz Pregl (nobel prize), making important contributions to quantitative organic microanalysis, one of which was the improvement of the combustion train technique for elemental analysis. Max Valier, performed the first test drive of a rocket car with liquid propulsion, the Valier-Heylandt Rak 7. 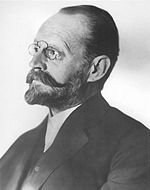 Julius Wagner-Jauregg (nobel prize), discovered treatment of mental disease by inducing a fever, an approach known as pyrotherapy. This page was last edited on 20 September 2018, at 17:04 (UTC).